Griffith Observatory is in Los Angeles, California. Sitting on the south-facing slope of Mount Hollywood in L.A.’s Griffith Park, it commands a view of the Los Angeles Basin, including Downtown Los Angeles to the southeast, Hollywood to the south, and the Pacific Ocean to the southwest. The observatory is a popular tourist attraction with an extensive array of space and science-related displays. 3,015 acres (12.20 km2) of land surrounding the observatory was donated to the City of Los Angeles by Colonel Griffith J. Griffith on December 16, 1896. In his will Griffith donated funds to build an observatory, exhibit hall, and planetarium on the donated land. As a Works Progress Administration (WPA) project, construction began on June 20, 1933, using a design developed by architect John C. Austin based on preliminary sketches by Russell W. Porter. The observatory and accompanying exhibits were opened to the public on May 14, 1935. In its first five days of operation the observatory logged more than 13,000 visitors. Dinsmore Alter was the museum’s director during its first years; today, Dr. Ed Krupp is the director of the Observatory. The first exhibit visitors encountered in 1935 was the Foucault pendulum, which was designed to demonstrate the rotation of the Earth. The exhibits also included a twelve-inch (305 mm) Zeiss refracting telescope in the east dome, a triple-beam coelostat (solar telescope) in the west dome, and a thirty-eight foot relief model of the moon’s north polar region. Col. Griffith requested that the observatory include a display on evolution which was accomplished with the Cosmochron exhibit which included a narration from Caltech Professor Chester Stock and an accompanying slide show. The evolution exhibit existed from 1937 to the mid 1960s. Also included in the original design was a planetarium under the large central dome. The first shows covered topics including the Moon, worlds of the solar system, and eclipses. During World War II the planetarium was used to train pilots in celestial navigation. The planetarium was again used for this purpose in the 1960s to train Apollo program astronauts for the first lunar missions. The planetarium theater was renovated in 1964 and a Mark IV Zeiss projector was installed. The observatory closed in 2002 for renovation and a major expansion of exhibit space. It reopened to the public on November 3, 2006, retaining its art deco exterior. The $93 million renovation, paid largely by a public bond issue, restored the building, as well as replaced the aging planetarium dome. The building was expanded underground, with completely new exhibits, a café, gift shop, and the new Leonard Nimoy Event Horizon Theater. The Café at the End of the Universe, an homage to Restaurant at the End of the Universe, is one of the many cafés run by celebrity chef Wolfgang Puck. One wall inside the building is covered with the largest astronomically accurate image ever constructed (152 feet long by 20 feet (6.1 m) high), called “The Big Picture” (http://bigpicture.caltech.edu), depicting the Virgo Cluster of galaxies; visitors can explore the highly detailed image from within arm’s reach or through telescopes 60 feet (18 m) away. The 1964-vintage Zeiss Mark IV star projector was replaced with a Zeiss Mark IX Universarium. The former planetarium projector is part of the underground exhibit on ways in which humanity has visualized the skies. Since the observatory opened in 1935, admission has been free, in accordance with Griffith’s will. Tickets for the show Centered in the Universe in the 290-seat Samuel Oschin Planetarium Theater are purchased separately at the box office within the observatory. Tickets are sold on a first-come, first-served basis. Children under 5 are free, but are admitted to only the first planetarium show of the day. Only members of the observatory’s support group, Friends Of The Observatory, may reserve tickets for the planetarium show. Centered in the Universe features a high-resolution immersive video projected by an innovative laser system developed by Evans and Sutherland Corporation, along with a short night sky simulation projected by the Zeiss Universarium. A team of animators worked more than two years to create the 30-minute program. Actors, holding a glowing orb, perform the presentation, under the direction of Chris Shelton. A wildfire in the hills came dangerously close to the observatory on May 10, 2007. Admission to the building and grounds of Griffith Observatory is free of charge, excluding some of the shows for a minimal price at the planetarium. The Observatory is open five days a week. There is a small parking lot next to the Observatory. Additional parking is along the steep road leading up to the observatory. Parking is free of charge. There are photo opportunities and scenery at and around the Observatory, with views of the Pacific Ocean, the Hollywood Sign and Downtown Los Angeles. Ideal for tourist destination, field trips, dates and outings with the family and friends. The observatory was featured in two major sequences of the celebrated James Dean film Rebel Without a Cause (1955); a bust of Dean was subsequently placed at the west side of the grounds. Angel (episode “Are You Now or Have You Ever Been,” with Angel wearing a red jacket in homage to James Dean’s Rebel Without a Cause character). Keeping up with the Kardashians on E! show shots of Griffith Observatory on a regular basis. 90210 show shots of the Observatory many times. The New Adventures of Wonder Woman between 1977 and 1979. 2010 MTV Video Music Awards. Linkin Park performed their single “The Catalyst” at the Observatory. Was a filming location for the music video for “Rush Rush” by Paula Abdul, which starred Keanu Reeves and was directed by Stefan Würnitzer. This video was based on Rebel Without a Cause. An image of the observatory is shown in a 2Pac music video, To Live And Die In L.A.. The video pays homage to Los Angeles and its best known landmarks. Some interview segments with rock musician Ringo Starr for the Beatles Anthology video were conducted on the observatory grounds during the early 1990s. Venice is a beachfront neighborhood on the Westside of Los Angeles, California, United States. It is known for its canals, beaches and circus-like Ocean Front Walk, a two-and-a-half-mile pedestrian-only promenade that features performers, fortune-tellers, artists, and vendors. Venice was home to some of Los Angeles’ early beat poets and artists and has served as an important cultural center of the city. Venicewas founded by tobacco millionaire Abbot Kinney in 1905 as a beach resort town, 14 miles (23 km) west of Los Angeles. He and his partner Francis Ryan had bought two miles (3.24 km) of oceanfront property south of Santa Monica in 1891. They built a resort town on the north end of the property called Ocean Park, which was soon annexed to Santa Monica. After Ryan died, Kinney and his new partners continued building south of Navy Street in the unincorporated territory. After the partnership dissolved in 1904, Kinney built on the marshy land on the south end of the property, intending to create a seaside resort like its namesake in Italy. When “Venice of America” opened on July 4, 1905, Kinney had dug several miles of canals to drain the marshes for his residential area, built a 1,200-foot (370 m)-long pleasure pier with an auditorium, ship restaurant, and dance hall, constructed a hot salt-water plunge, and built a block-long arcaded business street with Venetian architecture. Tourists, mostly arriving on the “Red Cars” of the Pacific Electric Railway from Los Angeles and Santa Monica, then rode Venice’s miniature railroad and gondolas to tour the town. But the biggest attraction was Venice’s mile-long, gently sloping beach. Cottages and housekeeping tents were available for rent. The town’s population increased; it annexed adjacent housing tracts and changed its official name from Ocean Park to Venice in 1911. The population (3,119 residents in 1910) soon exceeded 10,000; the town drew 50,000 to 150,000 tourists on weekends. Attractions on the Kinney Pier became more amusement-oriented by 1910, when a Venice Scenic Railway, Aquarium, Virginia Reel, Whip, Racing Derby, and other rides and game booths were added. Since the business district was allotted only three one-block-long streets, and the City Hall was more than a mile away, other competing business districts developed. Unfortunately, this created a fractious political climate. Kinney, however, governed with an iron hand and kept things in check. When he died in November 1920, Venice became harder to govern. With the amusement pier burning six weeks later in December 1920, and Prohibition (which had begun the previous January), the town’s tax revenue was severely affected. The Kinney family rebuilt their amusement pier quickly to compete with Ocean Park’s Pickering Pleasure Pier and the new Sunset Pier. When it opened it had two roller coasters, a new Racing Derby, a Noah’s Ark, a Mill Chutes, and many other rides. By 1925 with the addition of a third coaster, a tall Dragon Slide, Fun House, and Flying Circus aerial ride, it was the finest amusement pier on the West Coast. Several hundred thousand tourists visited on weekends. In 1923 Charles Lick built the Lick Pier at Navy Street in Venice, adjacent to the Ocean Park Pier at Pier Avenue in Ocean Park. Another pier was planned for Venice in 1925 at Leona Street (now Washington Street). For the amusement of the public, Kinney hired aviators to do aerial stunts over the beach. One of them, movie aviator and Venice airport owner B. H. DeLay, implemented the first lighted airport in the United States on DeLay Field (previously known as Ince Field). He also initiated the first aerial police in the nation, after a marine rescue attempt was thwarted. DeLay also performed many of the world’s first aerial stunts for motion pictures in Venice. By 1925, Venice’s politics became unmanageable. It’s roads, water and sewage systems badly needed repair and expansion to keep up with its growing population. When it was proposed that Venice be annexed to Los Angeles, the board of trustees voted to hold an election. Those for annexation and those against were nearly evenly matched, but many Los Angeles residents, who moved to Venice to vote, turned the tide. Venice became part of Los Angeles in November 1925. Los Angeles had annexed the Disneyland of its day and proceeded to remake Venice in its own image. It was felt that the town needed more streets – not canals – and most of them were paved in 1929 after a three-year court battle led by canal residents. They wanted to close Venice’s three amusement piers but had to wait until the first of the tidelands leases expired in 1946. In 1929, oil was discovered south of Washington Street on the Venice Peninsula. Within two years, 450 oil wells covered the area, and drilling waste clogged the remaining waterways. It was a short-lived boom that provided needed income to the community, which suffered during the Great Depression. The wells produced oil into the 1970s. Venice and neighboring Santa Monica were hosts for a decade to Pacific Ocean Park (POP), an amusement and pleasure-pier built atop the old Lick Pier and Ocean Park Pier by CBS and the Los Angeles Turf Club (Santa Anita). It opened in July 1958, in Santa Monica. They kept the pier’s old roller coaster, airplane ride, and historic carousel but converted its theaters and smaller pier buildings into sea-themed rides and space-themed attractions designed by Hollywood special-effects people. Visitors could travel in space on the Flight to Mars ride, tour the world in Around the World in 80 Turns, go beneath the sea in the Diving Bells or at Neptune’s Kingdom, take a fantasy excursion into the Tales of the Arabian Nights on the Flying Carpet ride, visit a pirate world at Davy Jones’ Locker, or visit a tropical paradise and its volcano by riding a train on Mystery Island. There were also thrill rides like the Whirlpool (rotor whose floor dropped out), the Flying Fish wild mouse coaster, an auto ride, gondola ride, double Ferris wheel, safari ride, and an area of children’s rides called Fun Forest. Sea lion shows were performed at the Sea Circus. Since attendance at the park was too low to justify winter operation, and with competition from Disneyland, Knott’s Berry Farm, and Marineland, it was sold after two seasons to a succession of owners, who allowed the park to deteriorate. Since Santa Monica was redeveloping the surrounding area for high-rise apartments and condos, it became difficult for patrons to reach the park, and it was forced into bankruptcy in 1967. The park suffered a series of arson fires beginning in 1970, and it was demolished by 1974. Another aging attraction in the 1960s was the Aragon Ballroom that had been the longtime home of The Lawrence Welk Show and the Spade Cooley Show, and later the Cheetah Club where rock bands such as the Doors, Blue Cheer, & many other top bands performed. It burned in the 1970 fire. The district around POP in the southside of Santa Monica is known as Dogtown. It is a common misconception that Dogtown is in Venice, but the original Z-boys surfing and skateboarding shop was and is still on Main St. in Santa Monica. Venice and Santa Monica were home to pioneering skateboarders the Z-Boys, as profiled in the documentary film, Dogtown and Z-Boys. It is little known that POP pier was actually completely in Santa Monica; it started at the end of Ocean Park Blvd and extended to the line where Venice meets Santa Monica. As of 2008, the population was estimated to be around 40,885. The median household income was $67,057, making it one the wealthiest neighborhoods in the city. The racial and ethnic composition in Venice in 2008 was White (63.9%), Latino (22.2%), African American (5.6%), Asian (3.7%), and Other (4.6%). Venice is today one of the most vibrant and eclectic areas in Los Angeles and it continues a tradition of liberal social change involving prominent Westsiders. Venice Family Clinic is the largest free clinic in the country. The Venice Farmers’ Market, founded in 1987, operates every Friday morning from 7–11 a.m. on Venice Blvd at Venice Way. 72 Market Street Oyster Bar and Grill was one of several historical footnotes associated with Market Street in Venice, one of the first streets designated for commerce when the city was founded in 1905. During the depression era, Upton Sinclair had an office there when he was running for governor, and the same historic building where the restaurant was located was also the site of the first Ace/Venice Gallery in the early 1970s and, before that, the studio of American installation artist Robert Irwin. Many of Venice’s houses have their principal entries from pedestrian-only streets and have house numbers on these footpaths. (Automobile access is by alleys in the rear.) However, like much of Los Angeles, Venice is also well known for traffic congestion. It lies 2 miles (3.2 km) away from the nearest freeway, and its unusually dense network of narrow streets was not planned for modern traffic. Mindful of the tourist nature of much of the district’s vehicle traffic, its residents have successfully fought numerous attempts to extend the Marina Freeway (SR 90) into southern Venice. Venice Beach includes the beach, the promenade that runs parallel to the beach (“Ocean Front Walk” or just “the boardwalk“), Muscle Beach, the handball courts, the paddle tennis courts, Skate Dancing plaza, the numerous beach volleyball courts, the bike trail and the businesses on Ocean Front Walk. The basketball courts in Venice are renowned across the country for their high level of streetball; numerous NBA players developed their games or are recruited on these courts. Along the southern portion of the beach, at the end of Washington Boulevard, is the Venice Fishing Pier. A 1,310-foot (400 m) concrete structure, it first opened in 1964, was closed in 1983 due to El Niño storm damage, and re-opened in the mid-1990s. On December 21, 2005, the pier again suffered damage when waves from a large northern swell caused the part of the pier where the restrooms were located to fall into the ocean. The pier remained closed until May 25, 2006, when it was finally re-opened after an engineering study concluded the pier was structurally sound. The Venice Breakwater is an acclaimed local surf spot in Venice. It is located north of the Venice Pier and Lifeguard Headquarters and south of the Santa Monica Pier. This spot is sheltered on the north by an artificial barrier, the breakwater, consisting of an extending sand bar, piping, and large rocks at its end. The Oakwood portion of Venice, also known as Ghost Town and the “Oakwood Pentagon,” lies inland from the tourist areas and is one of the few historically African American areas in West Los Angeles; however, Latinos now constitute the overwhelming majority of the residents. During the age of restrictive covenants that enforced racial segregation, Oakwood was set aside as a settlement area for blacks, who came by the hundreds to Venice to work in the oil fields during the 1930s and 1940s. After the construction of the San Diego Freeway, which passed through predominantly Mexican American and immigrant communities, those groups moved further west and into Oakwood where black residents were already established. Whites moved in Oakwood during the 1980s and 1990s. The Venice Shoreline Crips and the Latino Venice 13 gangs, which are under a shaky truce, continue to remain active in Venice. By 2002, numbers of gang members in Oakwood were reduced due to gentrification and increased police presence. According to a Los Angeles City Beat article, by 2003, many Los Angeles Westside gang members resettled in the city of Inglewood. By the end of the 20th century, gentrification had altered Oakwood. Although still a primarily Latino and African-American neighborhood, the neighborhood is in flux. According to Los Angeles City Beat, “In Venice, the transformation is… obvious. Homes are fetching sometimes more than $1 million, and homies are being displaced every day.” Author John Brodie challenges the idea of gentrification causing change and commented “… the gunplay of the Shoreline Crips and the V-13 is as much a part of life in Venice as pit bulls playing with blond Labs at the local dog park.” Xinachtli, a Latino student group from Venice High School and subset of MEChA, refers to Oakwood as one of last beachside communities of color in California. Chicanos and Latinos of any race make up over 50% of Venice High School’s student body. East Venice is a racially and ethnically mixed residential neighborhood of Venice that is separated from Oakwood and Milwood (the area south of Oakwood) by Lincoln Boulevard, extending east to the border with the Mar Vista neighborhood, near Venice High School. Aside from the commercial strip on Lincoln (including the Venice Boys and Girls Club and the Venice United Methodist Church), the area almost entirely consists of small homes and apartments as well as Penmar Park and (bordering Santa Monica) Penmar Golf Course. The existing population (primarily composed of Caucasians, Hispanics, and Asians, with small numbers of other groups) is being supplemented by new arrivals that have moved in with gentrification. A housing project, Lincoln Place, built by the Housing Authority of the City of Los Angeles is currently in the midst of an extensive legal battle between past and present tenants and the owner, AIMCO. The developer, which acquired the property in 2003, plans to demolish it and build a mixed-use condominium and retail structure on the site. As of 2010, the housing developer AIMCO has settled with tenants and agreed to reopen the project and return scores of evicted residents to their homes and add hundreds of below-market-rate units to the Venice area. Venice has always been known as a hangout for the creative and the artistic. In the 1950s and 1960s, Venice became a center for the Beat generation. There was an explosion of poetry and art. Major participants included Stuart Perkoff, John Thomas, Frank T. Rios, Tony Scibella, Lawrence Lipton, John Haag, Saul White, Robert Farrington, Philomene Long, and Tom Sewell. In the 1970s, prominent performance artist Chris Burden created some of his early, groundbreaking work in Venice, such as Trans-fixed. The Los Angeles Fire Department operates Station 63, which serves Venice with two engines, a truck, and an ALS rescue ambulance. Los Angeles Police Department serves the area through the Pacific Community Police Station at 12312 Culver Boulevard, Los Angeles, CA 90066, and a beach sub-station at 1530 W. Ocean Front Walk, Venice, CA 90921. Venice Beach is the headquarters of the Lifeguard Division of the Los Angeles County Fire Department. It is located at 2300 Ocean Front Walk. It is the nation’s largest ocean lifeguard organization with over 200 full-time and 700 part-time or seasonal lifeguards. The headquarter building used to be the City of Los Angeles Lifeguard Headquarters until Los Angeles City and Santa Monica Lifeguards were merged into the County in 1975. The department is commonly referred to by Angelenos as the Baywatch Lifeguards. The Los Angeles County Lifeguards safeguard 31 miles (50 km) of beach and 70 miles (110 km) of coastline, from San Pedro in the south, to Malibu in the north. Lifeguards also provide Paramedic and rescue boat services to Catalina Island, with operations out of Avalon and the Isthmus. Lifeguard Division employs 120 full-time and 600 seasonal lifeguards, operating out of three sectional headquarters, Hermosa, Santa Monica, and Zuma beach. Each of these headquarters staffs a 24-hour EMT-D response unit and are part of the 911 system. In addition to providing for beach safety, Los Angeles County Lifeguards have specialized training for Baywatch rescue boat operations, underwater rescue and recovery, swift water rescue, cliff rescue, marine mammal rescue and marine firefighting. The Los Angeles County Department of Health Services SPA 5 West Area Health Office serves Venice. The United States Postal Service operates the Venice Post Office at 1601 Main Street and the Venice Carrier Annex at 313 Grand Boulevard. The Venice Beach Recreation Center, nominally located at 1800 Ocean Front Walk, comprises a number of facilities sprawling between Ocean Front Walk and the bike path, Horizon Ave to the north, and N.Venice Blvd to the south. The installation has basketball courts (unlighted/outdoor), several children play areas with a gymnastics apparatus, handball courts (unlighted), tennis courts (unlighted), and volleyball courts (unlighted). At the south end of the area is the famous muscle beach outdoor gymnasium. In March 2009, the city opened a sophisticated $2,000,000 skate park on the sand towards the north. While not technically part of the park the Graffiti Walls on the beach side of the bike path in the same vicinity. The Oakwood Recreation Center is located at 767 California Ave. The center, which also acts as a Los Angeles Police Department stop-in center, includes an auditorium, an unlighted baseball diamond, lighted indoor basketball courts, unlighted outdoor basketball courts, a children’s play area, a community room, a lighted American football field, an indoor gymnasium without weights, picnic tables, and an unlighted soccer field. The Westminster Off-Leash Dog Park is in Venice. 1958- Touch of Evil (Orson Welles) – Shot entirely in Venice except for one indoor scene, selected by Welles as a stand-in for a fictional run-down Mexican border town. 1961– Night Tide (Dennis Hopper, Linda Lawson, written and directed by Curtis Harrington) – Shot entirely in Venice and shows the deteriorated nature of the area in the 1950s. From the moment of its inception, Hollywoodland defined the lifestyle known as “living in the Hollywood Hills.” With a steady stream of publicity, it acquired and retained the adjective “famed.” A lot of this is due to the huge metal sign crowning the tract, the neighborhood landmark. 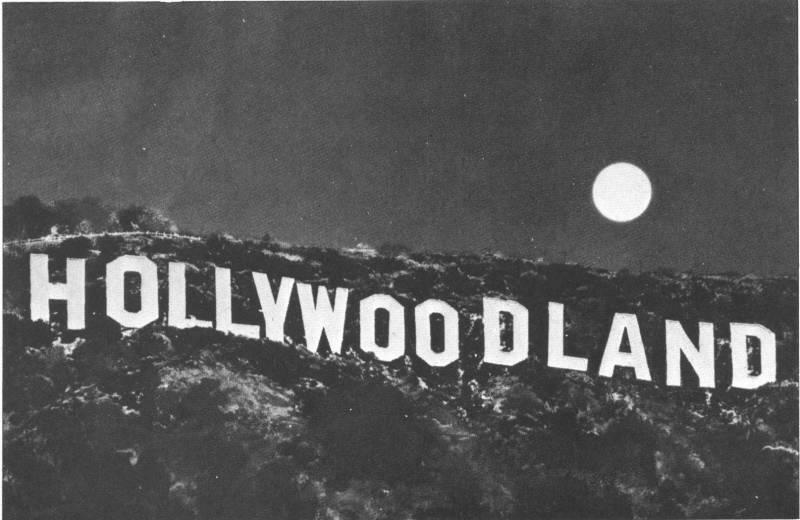 Originally it read “Hollywoodland,” but missing its last four letters, what started as a real estate promotional stunt has become the international symbol for the Hollywood film industry. On any day, tourists stand smack in the middle of Beachwood Drive, having their pictures taken with it. For all of us kids growing up here in the fifties and sixties, the undeveloped area of Hollywoodland opened our imaginations. We explored the canyons like real frontier, building forts on unfinished tract roads and mining for quartz in a canyon filled with rocks spilled over from the grading of Mt.Lee. Jannette K. Mathewson, living here as a little girl in 1924, loved the foxes, “and their almost nightly playtime on our porch. The great cowboy artist, Charles M. Russell, was also enthralled watching them.” Coyotes and cottontails, deer, squirrels, possums, raccoons, lizards, and tarantulas still make their homes with us. Unfortunately, the foxes have disappeared. According to some natural scientists, the coyotes ate them. No wild animal living here can escape this area, with Mt. Lee and neighboring Griffith Park now completely surrounded by city and freeways. Another draw to Hollywoodland, expressed in the developer’s phrase “freedom of the hills” applies to residents of the area lucky enough to live and work within the canyon. An artist, writer, or musician can hole up with creative work, yet remain close to the rest of the world. When our father, Dino, moved us here in the fifties, our neighborhood included painter Edward Biberman who lived across the street, painting scenes of Southern California, and writer Aldous Huxley, who lived and worked down the hill from us. (Mr. Huxley’s long, thoughtful walks at that time often included my four-year-old sister.) My grandfather, Alex Williams, had been here since the beginning of the tract with ownership of the commercial property at the west gate. At one time or other, everyone in the family got to live and work in the canyon, dispensing with the need for a daily commute. It was a treat. Undoubtedly, Hollywoodland’s strongest appeal lies in the original homes of the tract. Part “kitsch,” part beauty, they range from a vine-covered cottage you just know houses seven dwarves, to Normandy castles fit for royalty. That the original Hollywoodland homes offer suitable settings for Hollywood period movies seems appropriate. Most retain an elegant aesthetic to them; how they are situated on the hillsides, how they present themselves to spectators. They were laid out by thoughtful, artistic people who, it seems, wanted to create an environment of beauty, not tract housing as we know it today. Much has changed as new houses have appeared in the neighborhood over the decades. Architectural restrictions were lifted when the developers bowed out in the forties, and since then, people build houses to suit their own tastes. Some houses are great; some are awful. When land was cheap in the sixties, platform homes perched on steel stilts became the architectural rage. It was an inexpensive way of construction, which is no longer allowed by the Los Angeles building code. The eighties trend of “mansionization,” building large homes that fill their lots, seems like a half-hearted attempt to recapture some of Hollywoodland’s past glory. As the new houses go up, the spaciousness that marked the development disappears. Still, a sense of community remains. The commitment from seventy-five years of homeowners blesses the neighborhood with its own vitality and character. The future is secure as people discover charms originally voiced by the developers in 1923. As Los Angeles congests, the uniqueness of this area becomes more pronounced, where you can still hear the hooting owl or the howling coyote, where you can step outside your door and witness a beautiful sunset. 1888 – A bucolic hillside area populated by citrus farmers is given the name “Hollywood” by Harvey Henderson Wilcox and his wife, Daeida, as part of a residential development. It is Daeida who selects the name after she meets a lady on a train whose summer home is called Hollywood. 1903 – At an election held November 14, the residents of Hollywood vote to incorporate as an independent city. 1911 – Albert Beach paves the way to the Hollywood Hills and names “Beachwood Drive” after himself. 1916 – May 16 – Hollywood participates in the world celebration of William Shakespeare’s 300th birthday. A star-studded performance of “Julius Caesar” is mounted in the huge outdoor natural amphitheater at the top of Beachwood Drive (where the Beachwood Market and Village is now). 1923 – The construction of Lake Hollywood Reservoir commences in order to provide the burgeoning city with water and pressure. The Lake is first filled in 1925. 1929 – The stock market crashes and the Depression dashes developers’ plans for extending Hollywoodland farther east. The limits of our neighborhood are essentially set. serving the hilly neighborhood from the Hollywood 3 flats. 1932 – Peg Entwistle, despondent over her lackluster acting career, jumps to her death from one of The Hollywoodland Sign’s 50-foot letters. 1933 – Where The Humpty Dumpty Store previously stood, The Beachwood Market now opens its doors for the first time. 1934 – On New Year’s Day, torrential rains flood the Hollywoodland canyons with mud and debris. 1935 – The now-familiar Griffith Park Observatory appears on the horizon in neighboring Griffith Park. 1938-39 – Bugsy Siegel opens a Speakeasy at the Castillo del Lago mansion on Hollywoodland’s Durand Drive. 1944 – Hollywoodland developers deed the land north of Mulholland Highway (including The Hollywoodland Sign) to the City of Los Angeles. Later, it becomes part of Griffith Park. 1952 – The Beachwood Market expands after purchasing the Safeway Market next door. 1956 – Scenes from the classic film, “Invasion of the Body Snatchers,” starring Kevin McCarthy, are shot in front of The Beachwood Market and Village. 1958 – Chef Milton Pinkney takes command of the kitchen of the Beachwood Coffee Shop. 1961 – May – A hillside brushfire damages 30 Hollywoodland homes and destroys 24 more including that of Aldous and Laura Huxley of Deronda Drive. 1962 – February – Torrential rains once more flood canyons with mud and debris. Cars are carried downhill by the force of the waters. 1978 – The second restoration of the sign begins, led by prominent celebrities and city officials. Cost is $27,000 per letter using sheet metal and a steel framework. The public contributes significantly. 1998 – January 7 – The Hollywoodland Homeowners Association kicks off the 75th Anniversary of Hollywoodland with a gala screening of “Titanic” at the Vista Theatre, newly restored to its 1920’s splendor. Many attend in period dress – one gentleman wearing a vintage tuxedo with seaweed filigree. 1998 – October – “The Village Plaza” (originally called “The Village Green”) is dedicated in front of The Beachwood Market. This public area and “micro park” is the culmination of 10 years planning, fundraising and lots of hard volunteer work. 1998 – December – “The Hollywoodland Storycookbook” is released commemorating the 75th anniversary of Hollywoodland. Celebrities, mayors, judges, and fire and police chiefs drew their last breaths here, as did thousands of rich and poor Angelenos. Sen. Robert F. Kennedy received last rites here. Now, this pioneering public hospital is receiving its last rites. It will be razed this week to make way for the Los Angeles Police Department’s new $29-million Rampart station. For more than a century, the institution most recently known as Central Receiving Hospital provided emergency care and, later, paramedic services. Many a police officer and firefighter owed his life to this frontline first-aid station for those who needed to be stitched up and sent on to bigger hospitals. The two-story, brick-faced structure at 6th Street and Loma Drive, just west f downtown, is the hospital’s fifth location. Built in 1957 for $1.5 million, it closed to the public in 1970. But as recently as August, it offered physical psychological exams to police officers and firefighters. The city’s first receiving hospital of sorts opened in 1868 as a “pesthouse”—in effect, a hospice for victims of pestilence, especially smallpox. But soon the Chavez Ravine institution took in victims of other contagious diseases as well. Its second incarnation began in the late 1880s as a two-room emergency first-aid unit in the back of the downtown Central Police Station. One police surgeon tended all comers: victims of shooting, rapes and assorted mayhem. By the end of 1889, 562 patients had been treated there. A year later, the number had multiplied to 3,515 as the area’s population soared. A few years later, in 1896, a new Central Police Station and Receiving Hospital opened on the south side of 1st Street, between Broadway and Hill streets. Horse-drawn ambulances rushed victims through the drive-up entrance. It would take another dozen years before the city hired its first professional nurse, Charles Whitehead. In his 33 years of service, he treated victims of the 1910 Los Angeles times bombing and picked “scores of metal pieces” out of former LAPD detective turned private eye Harry Raymond, whose car was bombed in 1938 after he blew the whistle on corrupt cops. 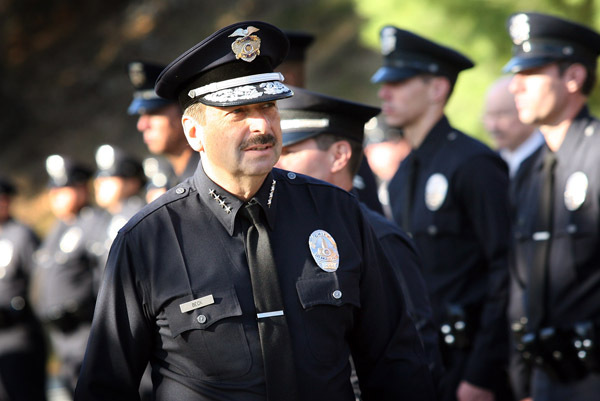 He tried to return to the LAPD as a lieutenant, but the force refused to take him back. He got a job as a gas station attendant. Despite his reduced circumstances, he put his son, Charles Francis Sebastian, through Stanford Medical School. The younger Sebastian returned to Los Angeles in 1922 to play a leading role at the hospital. In 1927, the fourth incarnation of the hospital opened a few miles away, on the third floor of the Georgia Street Police Station. The first patient was “Baby Fauso Bustus, 3 years old, son of Mrs. F. Bustus, 1609 Redwood St.,” a Lost Angeles newspaper reported. Georgia Street Receiving Hospital was among about a dozen hospitals in the city by then. For three decades it was also the poorest, with outdated tools and technology. Satellite hospitals in Hollywood, Lincoln Heights and Van Nuys began opening in the late 1930s under the leadership of Dr. Sebastian. In 1949 he was promoted to superintendent in charge of all four city hospitals. Sebastian came up with a life-saving innovation that is ubiquitous today. In 1952, ambulance attendant Jack Gilson died when he was thrown from the vehicle in a traffic accident. Sebastian had already watched two other ambulance attendants die that way and didn’t care to see a fourth. He devised a series of straps to hold passengers into their seats, according to Al Cowen, retired Los Angeles Fire Department chief paramedic who is chairman of the Department of Emergency Services for Valley College. “This early form of seat belts was installed in all 13 of the city’s ambulances, commonly referred to as Brown Bombers,” which were tan station wagons “with red crosses painted on the side,” Cowen said. For more than a decade, Sebastian had been begging the City Council to build a modern facility. 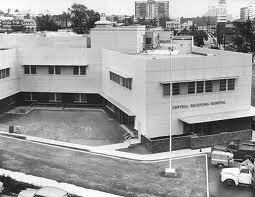 At last he prevailed, and the Central Receiving Hospital opened in June 1957. It included 40 rooms: 20 on the first floor for civilians and 20 on the second floor for police officers and firefighters. Each room was equipped with “piped-in oxygen,” the Times reported, and the X-ray and surgical equipment was state of the art. Georgia Street treated its last patient on June 27, 1957, according to hospital logbooks. The Police Department continued to use the building until the mid-1980s, when it was demolished to expand the Convention Center. Sebastian directed the hospitals until his retirement in 1961. Perhaps the most famous of Central Receiving’s patients arrived by ambulance in the early morning hours of June 5, 1968. Robert F. Kennedy had been shot at the nearby Ambassador Hotel after winning the California presidential primary. News of the shooting traveled fast. By the time Kennedy’s ambulance arrived, more than 300 bystanders had gathered to keep vigil. Father Thomas Peacha of St Basil’s Catholic Church was driving near the Ambassador Hotel when he heard the news on the radio. He headed for Central Receiving and made his way to the emergency room, where Kennedy was lying on the table. The senator’s wife, Ethel, was sitting nearby on a stool. “I’m sure he wasn’t conscious,” Peacha said in an interview with The Times shortly afterward. Peacha administered last rites using a tiny piece of cotton soaked in blessed oil. Kennedy was pronounced dead at 1:44 a.m. June 6 at Good Samaritan Hospital across the street, where he had been taken for surgery. The City Council initially blamed Kennedy’s death on the small, ailing hospital and the ambulance drivers who had bypassed other facilities to take him there. Confidence in the hospital weakened, and the council implemented a policy permitting injured police officers and firefighters to receive emergency care at the nearest hospital. But several investigations found that the battle to save Kennedy’s life had been lost the moment Sirhan Sirhan pulled the trigger. Hospital personnel had handled everything correctly, the probe found. In 1969, the hospital came under fire again when LAPD Officer Robert J. Cote was shot as he tried to stop a robbery. Cote was transported four miles through heavy traffic to Central Receiving and pronounced dead more than an hour later. Again, citizens were assured that it wouldn’t have mattered where he was taken. “Even if cote had been shot in the lobby of the hospital, he could not have survived,” Central Receiving Hospital Supt. M.X. Anderson said. Still, the Cote affair continued to be a festering source of community anger. The council pressed to shutter the hospital, and in 1970 it closed to the public. Paramedic services switched to the Fire Department—as Sebastian had suggested 11 years earlier. As he walked through the old hospital recently, Cowen, the retired chief of paramedics, thought of all the lives that had been saved there. In August 1963, I was involved in a high-speed wobble on my Harley-Davidson police motorcycle while inbound on the Hollywood Freeway at Barham Boulevard. The bike was heading for the center divider, a chain link fence, so I made the instant decision to lay the bike down on its right side—not the way to do it as my right foot slipped off the brake and pulled me under the heavy motorcycle. I slid 100 yards resulting in a vertical break of my right scapula, a nasty avulsion under my chin from the windshield, my right knee was torn open, and my right arm filled with roadside gravel accumulated along the center divider strip. Eighty percent of my ulnar nerve was destroyed. I was rushed Code Three to Central Receiving Hospital, where Doctor Bob Morgan, saved my right arm and my life. I was on the table for six-plus hours. Doc performed three skin grafts to the avulsed areas: chin, right arm and right knee. Two weeks later I was discharged. Several subsequent operations with a plastic surgeion corrected most of the damage to my jaw and face. With the latest Bond flick now in the cinemas, it’s interesting to take a look at 007’s handgun of choice. The Walther PP series pistols are blowback-operated semi-automatics. They feature an exposed hammer, a traditional double-action trigger mechanism, a single-column magazine, and a fixed barrel that also acts as the guide rod for the recoil spring. The series includes the Walther PP, PPK, PPK/S, and PPK/E. The various PP series are manufactured in either Germany or the United States. Since 2002, the PPK variant is solely manufactured by Smith & Wesson in Houlton, Maine, under license from Carl Walther GmbH Sportwaffen. In the past, this particular model was manufactured by Carl Walther in its own factory in Germany, as well as under license by Manurhin in Alsace, France, and by Interarms in Alexandria, Virginia. Originally built in 1929, the Walther PPK remains a popular pistol, used today for concealed carry, V.I.P. protection, and Britain’s MI5, as well as by European and American police. It has also been a popular display pistol to give as a gift to American and British military officers. The PP was first released in 1929, and the PPK in 1931; both were popular with European police and civilians, for being reliable and concealable. During World War II, they were issued to the German military and police, the Schutzstaffel, the Luftwaffe, and Nazi Party officials; Adolf Hitler shot and killed himself with his PPK (a 7.65mm/.32 ACP) in the Führerbunker in Berlin. More importantly(! 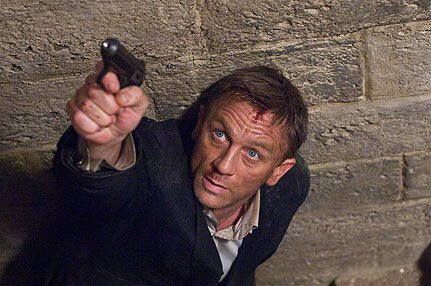 ), the Walther PPK (also a 7.65mm/.32 ACP) pistol is famous as James Bond’s signature gun in many of the Bond films, (including the latest, Skyfall), and novels. Ian Fleming’s choice of the Walther PPK directly influenced its popularity and its notoriety. The most common variant is the Walther PPK, the Polizeipistole Kurz (Police Pistol Short), indicating it was more concealable than the original PP, and hence better suited for plainclothes and undercover work. Sometimes, the name Polizeipistole Kurz (Short Police Pistol) is used; however, the accuracy of that interpretation is unclear. The PPK is a smaller version of the PP (Polizeipistole) with a shorter grip and barrel and reduced magazine capacity. The PP and the PPK were among the world’s first successful double action semi-automatic pistols that were widely copied, but still made by Walther. The design inspired other pistols, among them the Soviet Makarov, the Hungarian FEG PA-63, the Argentinian Bersa Thunder 380, the Spanish Astra Constable, and the Czech CZ50. Although it was an excellent semi-automatic pistol, it had competitors in its time. Walther’s original factory was located in Zella-Mehlis in the state of Thuringia. As that part of Germany was occupied by the Soviet Union following World War II, Walther was forced to flee to West Germany, where they established a new factory in Ulm. However, for several years following the war, the Allied powers forbade any manufacture of weapons in Germany. As a result, in 1952, Walther licensed production of the PP series pistols to a French company, Manufacture de Machines du Haut-Rhin, also known as Manurhin. The French company continued to manufacture the PP series until 1986. In fact, Manurhin manufactured all postwar European-made PP series pistols manufactured until 1986, even though the pistol slide may bear the markings of the Walther factory in Ulm. In 1978, Ranger Manufacturing of Gadsden, Alabama was licensed to manufacture the PPK and PPK/S; this version was distributed by Interarms of Alexandria, Virginia. This license was eventually canceled. Starting in 2002, Smith & Wesson (S&W) began manufacturing the PPK and PPK/S under license. Walther has indicated that, with the exception of the PP and the new PPK/E model, S&W is the current sole source for new PPK-type pistols. The PPK/S was developed following the enactment of the Gun Control Act of 1968 (GCA68) in the United States, the pistol’s largest market. One of the provisions of GCA68 banned the importation of pistols and revolvers not meeting certain requirements of length, weight, and other “sporting” features into the U.S. The PPK failed the “Import Points” test of the GCA68 by a single point. Walther addressed this situation by combining the PP’s frame with the PPK’s barrel and slide to create a pistol that weighed slightly more than the PPK. The additional ounce or two of weight of the PPK/S compared to the PPK was sufficient to provide the extra needed import points. 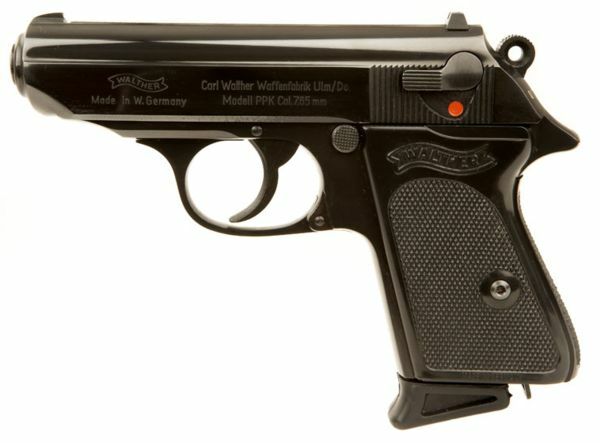 Because U.S. law allowed domestic production (as opposed to importation) of the PPK, manufacture began under license in the U.S. in 1978; Interarms distributed this model. The version currently manufactured by Smith & Wesson has been modified by incorporating a longer grip tang, better protecting the shooter from slide bite, i.e. the rearward-traveling slide’s pinching the web between the index finger and thumb of the firing hand, which was a problem with the original design. In the 1950s, Walther produced the PPK-L, a lightweight variant of the PPK. The PPK-L differed from the standard, all steel PPK in that it had an aluminium alloy frame. These were only chambered in 7.65mm Browning (.32 ACP) and .22 LR because of the increase in felt recoil from the lighter weight of the gun. All other features of the postwar production PPK/S (brown plastic grips with Walther banner, high polished blue finish, lanyard loop, loaded chamber indicator, 7+1 magazine capacity and overall length) were the same on the PPK-L. In the 1960s, Walther began stamping “Made in West Germany” on the frame of the pistol right below the magazine release button. The 1950s production pistols had the date of manufacture, designated as ‘month/year’, stamped on the right side of the slide. Starting in the 1960s, the production date, designated by the last two digits of the year, was stamped on the exposed part of the barrel that could be seen in the ejection port. Along fifteen blocks of Hollywood Boulevard and three blocks of Vine Street in Hollywood, California, is the The Walk of Fame. It was established in 1958 and attracts more visitors, about ten million annually—than other LA area attractions such as the Sunset Strip, Grauman’s Chinese Theater, the Queen Mary in Long Beach, and the Los Angeles County Museum of Art. – Comedy/tragedy masks, representing theater/live performance (added in 1984). The Hollywood Chamber of Commerce maintains The Walk. They, or the Hollywood Historic Trust, grant “special stars” unique to the honoree. 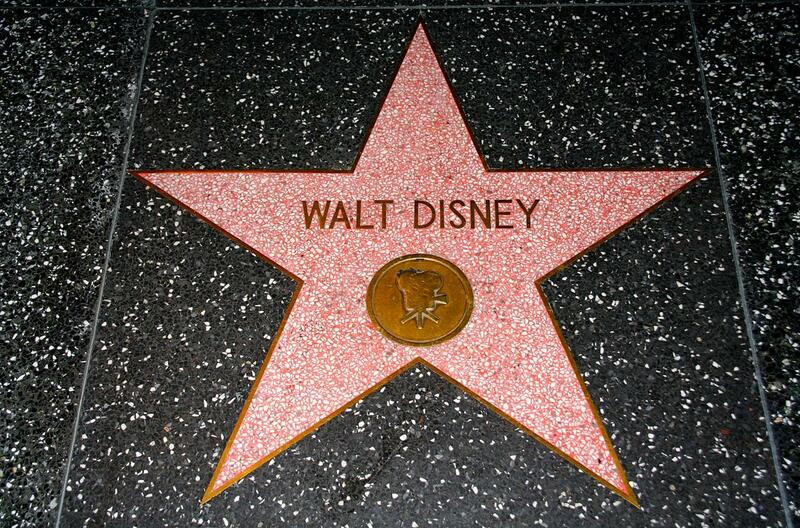 They are not part of the Walk of Fame; instead, they are located nearby on private property. These “Friends of the Walk of Fame” monuments vary from the trademark “star” shape, in that they are charcoal terrazzo squares, rimmed by miniature pink terrazzo stars displaying the five standard category emblems, along with the sponsor’s corporate logo, with the sponsor’s name and contribution in inlaid brass block lettering. Examples include the Los Angeles Police Department (LAPD) star emblem, a replica of a police badge indicating the LAPD’s Hollywood Division, and the Los Angeles Dodgers, displaying the team’s logo. Then there are the uniquely shaped monument for the Apollo 11 mission to the Moon, consisting of four identical, circular “moons” bearing the names of the three astronauts (Neil Armstrong, Michael Collins, and Edwin E. “Buzz” Aldrin Jr.), the date of the first moon landing (“7/20/69”), and the words “Apollo XI” set in each of the four corners at the intersection of Hollywood and Vine. The “moons” are silver and dark gray terrazzo circles rimmed in brass on a square pink terrazzo background, with the television emblem inlaid at the “twelve o’clock” position on the circles. The original selection committees chose to recognize some entertainers’ contributions in multiple categories with multiple stars. Gene Autry is the only honoree with stars in all five categories. Bob Hope, Mickey Rooney, Roy Rogers, and Tony Martin each have stars in four categories—Rooney has three of his own and a fourth with his wife, Jan, while Rogers also has three of his own, and a fourth with his band, The Sons of the Pioneers. Thirty-three people, including Frank Sinatra, Dinah Shore, Gale Storm, Danny Kaye, and Jack Benny, have stars in three categories. Seven recording artists have two stars in the same category, for distinct achievements: Michael Jackson, as a soloist and as a member of The Jackson 5; Diana Ross, as a member of The Supremes and for her solo work; Smokey Robinson, as a solo artist and as a member of The Miracles; and John Lennon, Ringo Starr, George Harrison, and Paul McCartney as individual performers and as members of The Beatles. Cher forfeited her opportunity to join this exclusive club by declining to schedule the mandatory personal appearance when she was selected in 1983. She did, however, attend the unveiling of the Sonny & Cher star in 1998, as a tribute to her recently deceased ex-husband, Sonny Bono. The only two fictional characters to have two stars are Kermit the Frog and Big Bird, each with an individual star and one with The Muppets. George Eastman is the only honoree with two stars in the same category for the same achievement—the invention of roll film.